Malawi teaches UK children a lesson Jump to media player Could an app designed to teach Malawian children maths be successful in the UK? Ghana’s burgeoning tech start-ups Jump to media player Inside the Ghanaian school for tech start-ups with big ambitions. 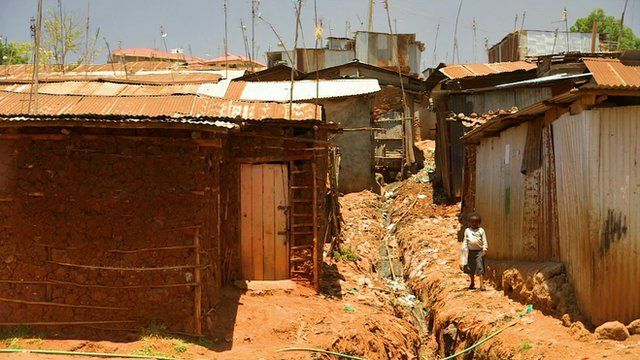 Mapping and app technology is allowing residents living in Nairobi's Mathare slum to report land disputes and waste management and infrastructure problems. The app, developed by start-up Spatial Collective working with members of the community, allows users to rate the urgency of problems and the appropriate action to be taken. It is hoped in the future that drones will be able to map the slum fully. This would enable residents to obtain full title deeds, gain access to bank credit and put up permanent buildings.